When it comes to shopping for WordPress hosting, you have various options like Shared hosting, VPS hosting, Dedicated and now managed WordPress hosting. If you are someone who is just starting with WordPress, you are more likely to pick one from the above hosting category and host your blog. If you choose any of the popularly shared WordPress hostings, you are more likely to get value for money, but if you pick anything else, you are almost wasting your money, and this post will educate you why and how. For starters, shared hosting is a hosting environment where a website is hosted along with many other sites on the same server (shared environment). Usually, a hosting server is very powerful, and one good server can host x number of websites. Now x could be any number between 1-200 depending upon the server configuration. One significant benefit you will get by hosting your WordPress blog on shared hosting is affordability in terms of pricing. Usually, shared hosting costs somewhere in the range of $5-$10/month, and it creates a big difference to your pocket in the longer run. 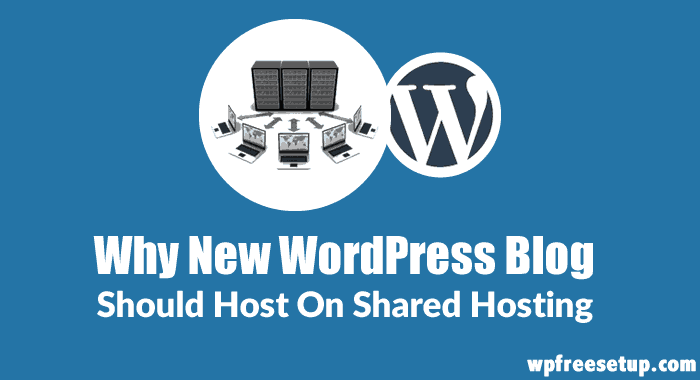 Talking about your WordPress blog hosting requirement, if you are just starting with a new WordPress blog, a good shared hosting server easily provides you with all the technical and resource demand for your WordPress blog. Moreover, nowadays most of the reliable shared hosting companies like Bluehost, InmotionHosting offer unlimited bandwidth and space, which is a huge relief. That means you don’t have to worry about how much bandwidth or space your WordPress blog is consuming. (Note: They all have fair usage policy, which is pretty decent and liberal). Whereas, when you are taking a VPS server or managed WordPress server, you are more likely to pay almost 5x of shared hosting price, and in the long run, it’s a big chunk of money. 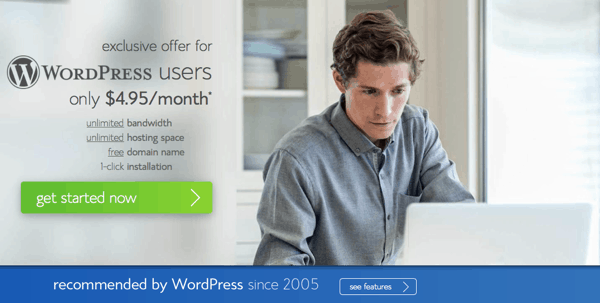 In the majority of the cases, it usually takes a minimum of six months for a new super active WordPress blog to require a VPS or above server. The good thing is, most of the reliable WordPress hosting companies offer you one-click upgrade from shared hosting packages to higher packages like VPS or dedicated, which is painless and also helpful for a non-technical person. There are many reliable and cheap WordPress hosting companies out there which offer shared hosting for WordPress Blog (they are optimized for hosting WordPress blogs). I started blogging in 2008, and ever since I have tried and tested over 11 top hosting servers (Shared, VPS & managed), and based on my experience and from other experts I’m suggesting few hosting companies where you can purchase hosting package for your new WordPress blog. Very reliable for hosting WordPress blogs and also the top recommendation by official WordPress hosting page. They are a well-known company, and the best thing is they offer one free domain name with every hosting package. 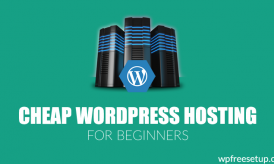 Also with one Bluehost account, you can host multiple WordPress blogs. With the below link, you will even get an extra discount of 26% on your purchase. 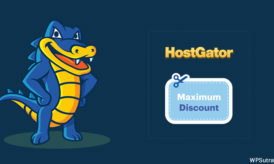 Hostgator is another highly recommended shared hosting for WordPress and is well known for their technical support. Their baby hosting plan is my favorite as it lets you host multiple sites for a nominal price. You can use discount coupon “ShoutMeLoud25” to get an extra discount of 25% on your total bill. If you still have any question related to WordPress shared hosting or want to add your own experience with shared hosting server, let us know in the comments below. Do share this article with your friends on Facebook and Google plus. 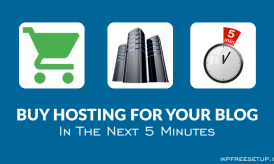 How To Buy Hosting For Your Blog in The Next 5 Minutes? Nice one. I have come to understand that shared hosting helps a blogger to have more time to do other things and have the hosting company manage his hosting business for him. I want to know when should we upgrade. Is there any metric to measure that? usually when your existing hosting is creating issue in term of frequent downtime, not able to solve your problems or database connection error. That’s the time you should be on better hosting package. Blue host is the best one.